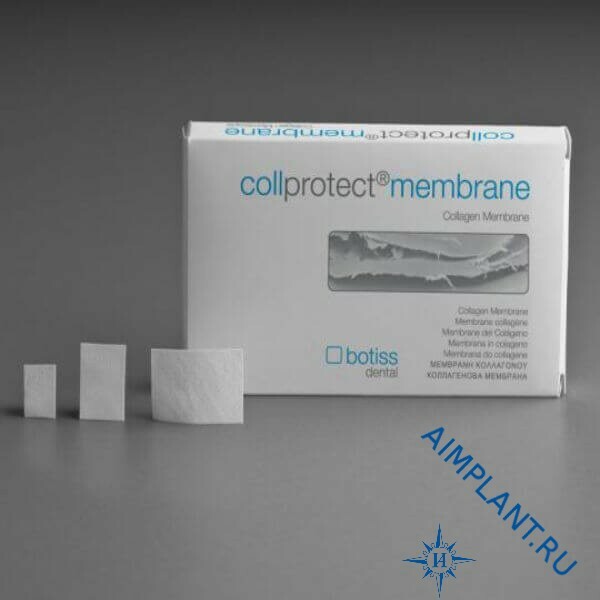 Collprotect membrane 20x30 mm finds its application in implantology, Periodontology, surgical dentistry and maxillofacial surgery. The thickness is from 0.4 to 0.6 mm. Collprotect membrane - mesh-membrane natural collagen. 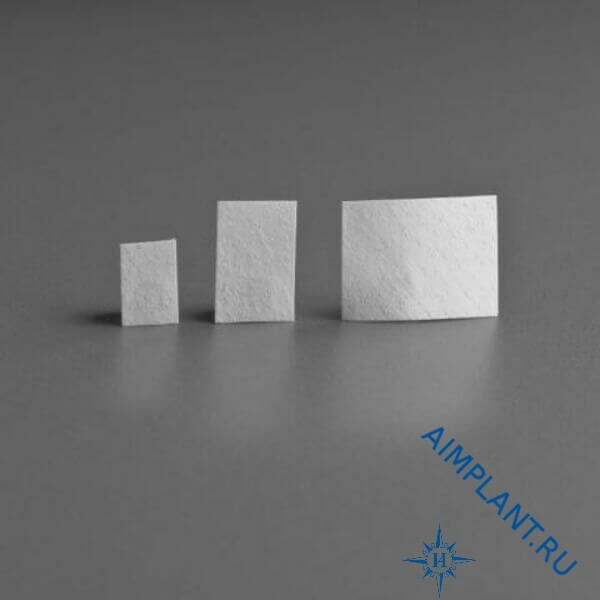 Due to the rough and porous structure of collagen, achieving the best result for controlled regeneration of soft tissue. During the healing membrane has a barrier function while the controlled resorption without inflammatory reaction of the soft tissues. The soft tissue around the membrane usually heals without problems even in case of a divergence of seams. Biological structure of the membrane surface prevents ingrowth of soft tissue inside, contributing to the rapid penetration and integration of cells and blood vessels into the surrounding tissue.